On Friday, the children refused to go to school. London, the capital of one of the most powerful countries of the world, was confronted by a far greater power: the raw energy of its children claiming their right for a future free from drought, floods, exploitation and food shortages. 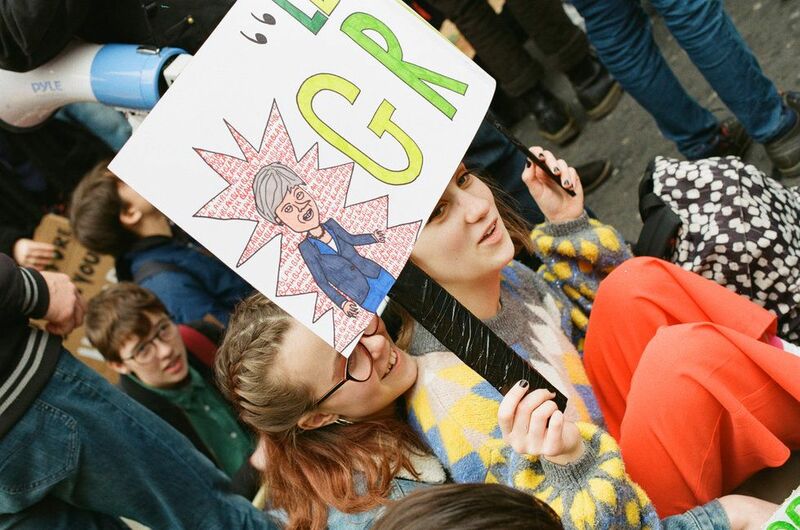 Tens of thousands of young people in 30 countries, including Britain, took to the streets to demand action on climate change from global and local leaders. (This follows the global strike on March 15, which saw more than 1 million young people protest globally). In London, young protestors of all ages brought Oxford Circus to a standstill, as they grabbed the microphone and demanded that fashion labels stop forcing their employees to work for poverty wages under awful conditions and polluting the environment with their toxic manufacturing processes. Will these worldwide protests by the children of us all be heard by our decision makers, who currently seem intent on the extinction of human life on our planet as we know it in exchange for short term profits? The voices of the youth rise with the seas, as they stand together with one voice, fighting for the fate of our planet.